This is my second book by this author and just like the first one, I found it very enjoyable and lovely, overall. 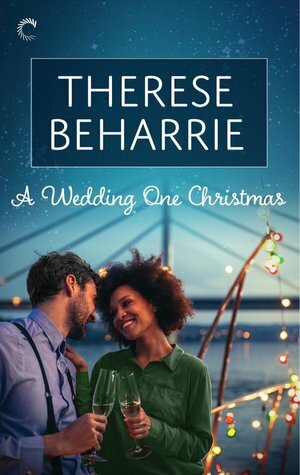 This one is, as you can guess by the title, a Christmas romance and as such it's full of feels and holidays spirit. 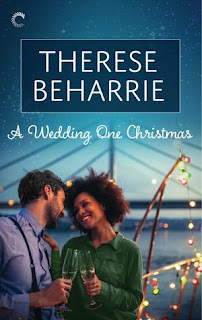 The hero and heroine are two people running from their past who meet by chance at a Christmas wedding and form a strong connection based on sharing secrets they haven't told anyone about before. This is s quiet, introverted story, very much focused on inner conflict. I have to admit it felt a bit heavy at times - the guilt and self-recriminations both MCs feel are not easy to swallow but they both need to work through their emotions before trying to be with someone, start something romantically. There was lots and lots of inner turmoil and I had to put down the book a few times but it was fitting for characters. They are two ordinary people, albeit rather sensitive and caring about the others, who carry a lot of baggage from their past mistakes. WE see them trying to stay optimistic, to take a chance and trust their hearts and go after that HEA they both want so much. The story has the loveliest, epilogues, one full of holidays warmth and happiness.